Purchasing this item will earn you at least 547 GES RewardPoints! 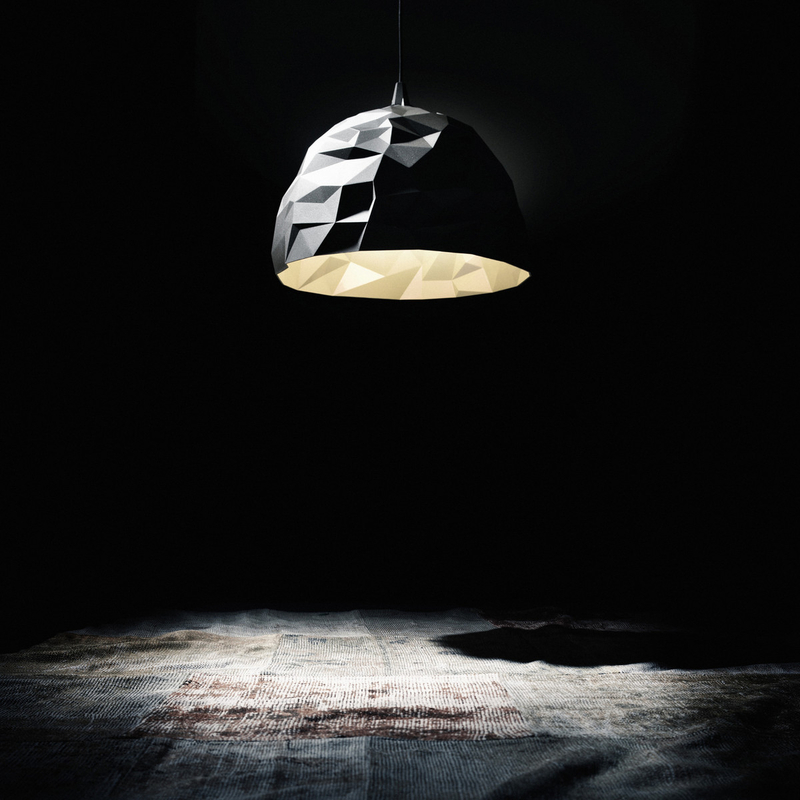 A magical design by Diesel with Foscarini. Rock Sospensione is reminiscent of a volcanic boulder in the brown color, with a sparkling crystal inside. Responsible for this are the awesome asymmetrical shape and the surface texture. The outside is speckled with gold splinters, the inner reflects the light in a fascinating way. Rock Sospensione by Diesel with Foscarini is an ideal one-off for public and private areas.